To ensure meeting the reliability goals of the Smart Grid, Demand Response programs are offered by electric power utilities with incentives to participating customers in order to match power generation to demand and prevent network instability during peak demand periods. According to the Energy Information Administration's (EIA) 2012 commercial building energy consumption survey (CBECS), large office buildings in the USA with floor area > 9,000 m2 consume annually 180 billion kWh. This comprises of HVAC (cooling 17%, ventilation 25%), lighting (17%) and plug loads comprising of computers, monitors, printers, servers and other electrical loads associated with occupant productivity (17%) and the rest miscellaneous loads. These loads mostly occur, given the occupancy schedule, during the on-peak periods for a summer peaking utility. The need to address Automatic Fault Detection, Diagnosis and System Restoration (AFDDS) becomes important when implementing demand response (DR) strategies whether it is price responsive or resource responsive in office buildings. Should faults occur in the building HVAC system, the kWh energy consumption and KW demand will increase negating the objectives of the Demand Response program. 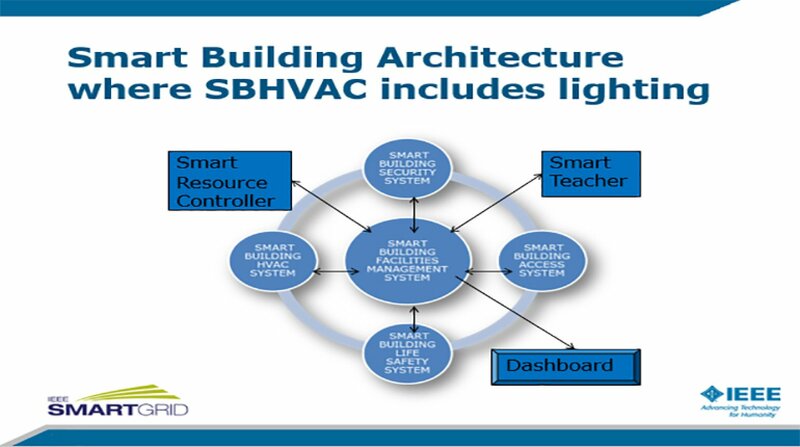 This presentation will cover: definitions for Smart Building HVAC System; Smart Building Facility Management System (SBFMS) Architecture; development of algorithms for AFDDS for an example HVAC system with self-healing and resiliency feature and discuss the results of Smart Voice Activated Speaker experiments with lighting and Plug loads and opportunities for its integration with SBFMS.